Benjamin Franklin said, “Some people die at 25 and aren’t buried until 75.” William Wallace said, “Every man dies, but not every man truly lives.” What is truly living? Is that even possible? Some people never discover the depths of who they are. They go on living, but keep their talents buried. Others succumb to despair and end their lives prematurely. Then there are the ones who learn the secret to catching confidence. If anyone knows who they really are — who God made them to be — they become fortified against despair. Identity is the antidote for despair. Those with a secure identity have hope. All hell can break lose, but they know who they are and whose they are. Those out of touch with their identity will remain stuck in despair. Darkness will dominate both the person who lacks a sense of their identity and the person who experiences a deep sense of shame when they touch upon their identity. One way to look at shame is feeling who you are is worthless and defective. When someone feels worthless, they become increasingly sensitive to rejection and, in extreme cases, see no way out other than suicide. Those without a strong sense of self are easily deceived and enticed by quick fixes. They will be tossed around like a leaf in a tornado. They are subject to being carried off by anything that sounds good or anything that avoids bad feelings. They can only go with the flow and the default flow is rarely anything good. Acceptance is the foundation for genuine growth. To receive love, you need at least one person who can love you the way you are, but then also encourage you to become all you are. 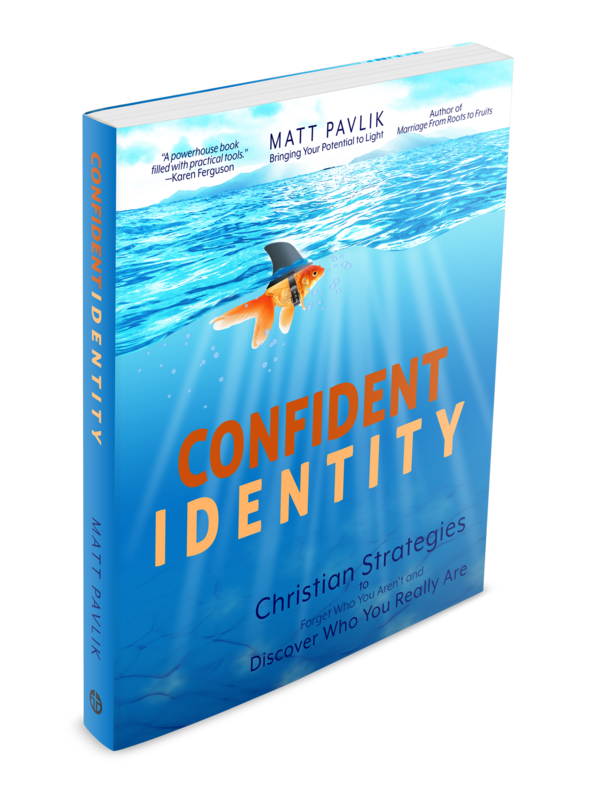 With a strong identity, you’ll have a built-in reason to live that you can never lose. You’ll have power to give up unhealthy people-pleasing behaviors. You can stop feeling anxious about who you’re supposed to be. You’ll no longer have to depend on others to tell you who you’re supposed to be. You can stop worrying and start living. To further grow the sense of who you are, practice and refine your abilities. Talent without hard work will remain dormant. So far, the first three steps are about you learning who you really are. As you mature, you’ll be ready to fulfill your unique purpose. You’ll be ready to give yourself to a purpose greater than yourself. Be healthy. Take care of yourself and enjoy the life God has given you. Even Jesus rested from his work. Remember that life isn’t about you slaving away 24/7. You’ll only be of benefit to others when you give from the overflow of God’s presence in your life. You can’t sacrifice what you don’t have. Only after you have your identity can you give it up for the sake of others. God didn’t make you to cling to earthly pleasures. Once you have an identity, God calls you to pour all he has given you into the lives of others. Change is especially hard when you’re depressed. Fortunately, the first step toward health, simply being, only requires you to receive love. Are you tired of depending on unpredictable and unreliable life circumstances for happiness? Find joy by knowing all that your creator intends for you to be. I really like your confident identity board. My name is Darlene J. Harris and I’m the author of an anthology “And He Restoreth My Soul” and I’m preparing for April month of prevention again child and sexual abuse. The main topic is Identity Dissociative Disorders. I don’t know if you work with this disorder but I would like to use your Confident Identity Board in May 2018 and any article you would like included with it. Also, I would like to reference your website as a resource. I’m glad you see value in my identity site. You’re welcome to reference it as a resource. Yes, I work with people struggling with dissociative identity disorder. Everyone dissociates some, but those who’ve gone through traumatic abuse rely on dissociation to survive. I have a post, Abuse of Power that touches on this.